Choose from a variety of equipment! Accurpress offers an extensive range of press brakes – combined with industry leading technological advancements and optional accessories – tailored to meet your fabrication needs. Press brake models range from 25 tons through 3000 tons to suit every press brake application. Accurpress offers robotic press brake solutions for automated bending. Robotized bending combines the Accell press brake with experienced partners in robotics and offline software, such as Motoman Solutions, to form complete automated bending cells. 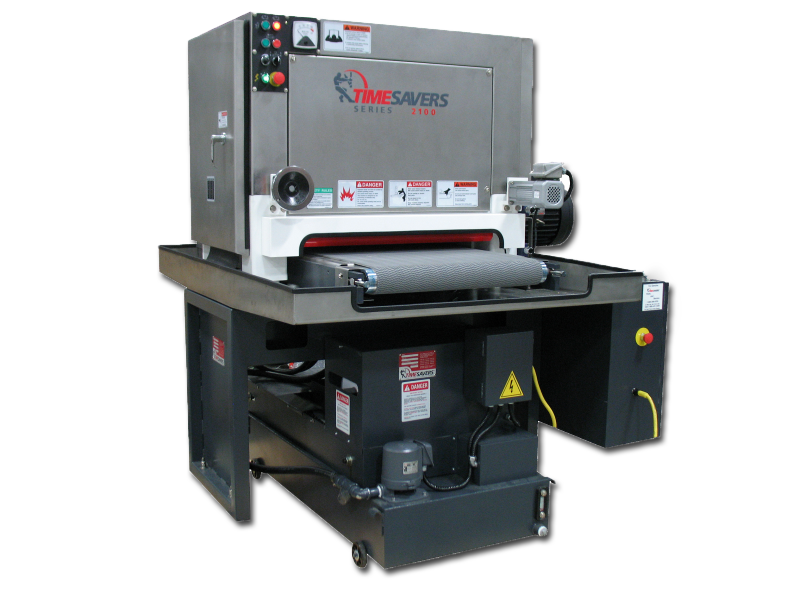 From their USA – based headquarters in Maple Grove, MN, every Timesaver wood sander and metal sander is designed, engineered, and built to be reliable and durable and is supported by our factory trained and certified machine service techs operating around the world. Manufactured in North America, with North American built quality, Accurpress has 1,000's of press brakes and shears operating in every conceivable precision sheet metal forming and heavy plate fabrication environment. Accurshear is America's # 1 Shear. Pioneering technology for the application of solid-state fiber optic laser technology for industrial cutting applications since 2004. Hundreds of installations later, the company's original vision of a robust, precise, efficient, and highly productive laser cutting system is meeting the test of real-world production around the world. Semyx is a global company specialising in cutting machines. Along with Semyx's world renown waterjet cutting tables; Semyx also offers top of the line plasma and router systems ranging from economical to high end and from standard to custom made systems. Check out the newest in punching technology -- The Accurmax turret punch! All-electric with a programmable ram and an auto-indexing turret, this innovative technology will save energy costs while improving production efficiency! No other brand of hydraulic ironworker compares to the tremendously versatile Piranha P-65. Features such as urethane stripping, automatic shear hold-downs, quick change tooling, low blade rake angles, and six standard work stations, coupled with its ergonomic design and clear lines of sight to all tools, including shear blades, place Piranha ironworkers far above the competition. These features produce higher quality fabricated parts, and make Piranha hydraulic ironworkers easier to use than any other ironworker. Can't find what you are looking for? Try searching!